Haryana Police Constable SI Recruitment 2019 Online Application Form , Eligibility & How to Apply? Candidate must have passed 12th class or equivalent exam from a recognized board or university. Age Relaxation : As per Haryana Police Rules. Chest – 83 cm unexpanded and 87 cm expanded, For ST/SC 81 cm unexpended and 85 cm expended. Weight – According to height. The step-by-step application process for the Haryana Police Recruitment 2019 is mentioned below. 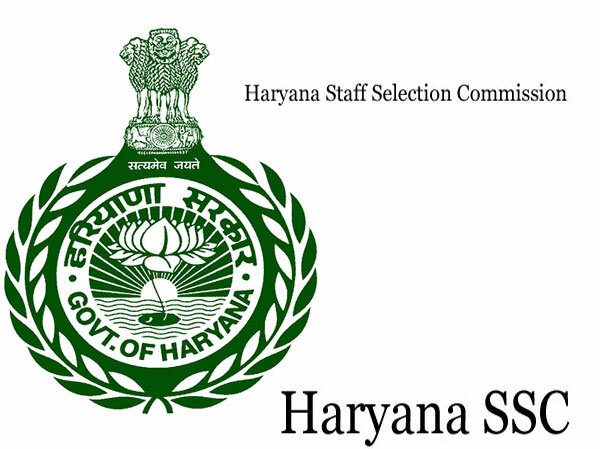 Visit the official website of Haryana Staff Selection Commission i.e. hssc.gov.in. Now click on the link “Click Here for Haryana Police Recruitment”. After that click on the “Haryana Police New Vacancy 2019”. A new tab will open the Haryana Police application form. Now, you’ll need to fill the complete details. After that generate e-challan and deposit the application fee which is Rs. 100 for general and Rs. 50 for reserved categories. Recently Haryana DGP has announced that there will be 12000 vacancies in Haryana Police for the year 2019. If we talk about Haryana police constable pay scale 2019, after the final selection this is about Rs.9300/- to Rs. 34800/- with Grade Pay of Rs. 4800/- per month. The question paper of Haryana Police holds 100 question in itself. Each question shall carry 0.80 marks and thus total marks will be 80. There is no negative marking in Haryana Police Paper 2019. The duration of HSSC Exam will be 90 minutes. The medium of examination shall be Hindi. The test paper includes questions from General studies, Animal husbandry, Reasoning, Current affairs, Numerical ability,Reasoning, General science,Agriculture Aptitude etc. After the completion of the selection process, HSSC will shortly release the Haryana Police Constable Result 2019 on their official website. The Cut-Off marks are the minimum marks to get qualify in an Exam. Those Candidates who will score higher than Cut-Off will be qualified. According to an analysis, the cut-off will be higher than the previous year. As we all know that the final selection is based upon the merit list prepared on the basis of above-mentioned components. For more detailed info regarding to HSSC Constable Recruitment Online Form 2019 kindly visit official website and read carefully employment advertisement before applying against to HSSC SI Recruitment 2019. Subscribe Careerresult to get latest updates about HSSC Recruitment Online Form 2019 on your smartphone via E-mail. For more latest jobs updates in SSC Jobs Stay connected with us.All candidates have to request is to share this job link with your friends over at Whats App, Facebook,Twitter,Instagram and help them get good career in your life. HSSC Constable Recruitment 2018 – Haryana Staff Selection Commission has recently published recruitment of 7110 Constable & Sub Inspector vacancy in Haryana Police Department. This is a very good opportunity for those applicants who are really looking for Haryana Police Vacancy 2018. Interested and eligible candidates may apply for Haryana Police Jobs go through the Website i.e. www.hssc.gov.in before last date (28 May 2018). Name of the Department : Haryana Police Department. Exam Through : Haryana Staff Selection Commission (HSSC). Total Number of Vacancy : 7110 Posts. Name of the Post : Constable/Sub Inspector. For Constable : Candidates must have done Intermediate (10+2) or its equivalent form a recognized Board/Institute having Hindi/Sanskrit up to Matric Standard or higher educations. For Sub-Inspector : Applicants must have Graduation in any discipline from a recognized University or its equivalent having Hindi/Sanskrit up to Matric Standard or higher educations. Age Limit for Hayyana Police Vacancy : Minimum and Maximum age limit of the candidates is 18 to 25 Years for Constable Post and 21 to 27 for SI Post as on 01.04.2018. Height : 170 cm for general category and 168 cm for eligible reserve Categories as per latest existing Government Reservation Policy. Chest : 83 cm UN-expanded and 87 cm with expanded for general categories. 81 c. un expanded and 85 cm expanded. Height : 158 cm for general category and 156 Centimeter for eligible reserve categories as per latest existing Government Reservation Policy. In this HSSC Constable Recruitment Process the assortment of the applicants will be based on Knowledge Test, Physical Screening Test (PST), Physical Measurement Test (PMT) & Additional Qualifications. Interested and eligible Candidates may apply Online for Haryana Police Jobs go through the website i.e. www.hssc.gov.in from 28 April 2018 to 28 May 2018. Starting Date : 28 April 2018. Last Date : 28 May 2018. Last Date for Deposit of Application Fee : 30 May 2018. Haryana Police Recruitment 2019 Free Job alert for both Fresher and Experienced Candidates updated on January 11, 2019. Get Direct Official Link for applying Haryana Staff Selection Commission Haryana Police Recruitment 2019 along with current Haryana Police Recruitment official Notification 2019 here. Find all recent Haryana Police New Vacancy 2019 across India and check all latest Haryana Police 2019 job openings instantly here, Know upcoming Haryana Police Recruitment 2019 immediately here. Why careerresult.in for Haryana Police Recruitment 2019 Free Job Alert? Careerresult.in is one of the most informative places for Haryana Police notification across various sectors and industries within India. Careerresult.in ensures that all the Jobs should be notified to all our visitors. We work 24*7 to update our visitors with latest vacancies. We ensure that all jobs get mentioned on our website. We help both fresher and experienced graduates to get recruitment notification on recent Haryana Police recruitment 2019 openings across India. Careerresult.in is a primary job website for all types of job recruitment notification. This page is an special page designed for the Latest recruitment notification from Haryana Police 2019. Careerresult.in team ensures to make you alert about all the recruitment notification and job openings about Haryana Police jobs. These pages have all vacancies for Haryana Police recruitment 2019 (recently expired, active and Haryana Police recruitment notification). Haryana Police comes up with latest recruitment details on various posts as HSSC Constable, Sub Inspector (SI) , Fireman, Driver, Rasoiya, and Other Vacancy Post. Careerresult.in is one of the most informative places for Haryana Police notification across various sectors and industries within India. Careerresult.in ensures that all the Jobs should be notified to all our visitors. Haryana Police comes up with recruitment notification and recruits many candidates throughout a year. In this page, you can find Haryana Police recruitment notification that is currently active and also all expired government job openings from Haryana Police at Careerresult.in. Haryana Police plans its recruitment process for various posts in major cities across India. This Haryana Police job page contains all the current and upcoming Haryana Police recruitment notifications for 2019 across all its locations in India. Apply for Latest Haryana Police Recruitment 2019: Here you can find all Latest Haryana Police Jobs alert. Here you can search for latest Haryana Police Recruitment 2019, Jobs in India, online application, employment jobs alert, Jobs openings across India, Haryana Police Exam result, Haryana Police vacancy 2019 recruitment notification etc. Please read the provided information such as educational Educational Qualification, application fees, selection procedure etc. very carefully before applying for the job. Subscribe to Haryana Police Jobs and get recruitment notifications on Trainee Scientific Officer vacancies across India through Careerresult.in. Through this page you can find many Job Opportunities on Haryana Police Jobs Recruitment 2019. With Latest vacancies you can also get upcoming Notifications on Haryana Police recruitment. Careerresult.in team updated this page as soon as possible. So frequently check this page whenever you want and know about recent as well as forthcoming Haryana Police Jobs. If you want to apply for any job related to Haryana Police , you can find every information on Careerresult.in and can apply for the job with essential and right information. Careerresult.in provide you every information like Job description, Eligibility criteria, Last Date for application, Numbers Of Total Posts vacancy, Educational Educational Qualification , Salary,Job Locations, Application procedure, Application fees, Selection procedure and even Interview Dates of Haryana Police recruitment 2019. Links for Haryana Police Official Notification, Online Application Form is provided in this page itself. Careerresult.in gives you easiest way to apply for the Haryana Police Jobs. Besides Haryana Police Jobs you can find many other similar Jobs in Top Companies in this page itself. In order to get enrolled in Haryana Police recruitment drive, Careerresult.in will help you with its resources like placement papers, Aptitude skill test, Interview questions and answers, Current Affairs, etc. So make use of it and clench your dream Company Job. Rojgar samachar on Haryana Police ’s latest recruitment are updated in Careerresult.in daily. Don’t miss this fruitful opportunity. How to get Haryana Police recruitment 2019 Free Job alert? To know immediately about the Haryana Police Jobs 2019 and vacancies which are to be announced in the near future, you can subscribe to our Careerresult.in Free Job Alert to your Email. Surely you can get instant alerts related to upcoming Haryana Police recruitment 2019. The future depends on what you do today. Grow with the world of info.student@careerresult.in. Best wishes for all your future endeavors.